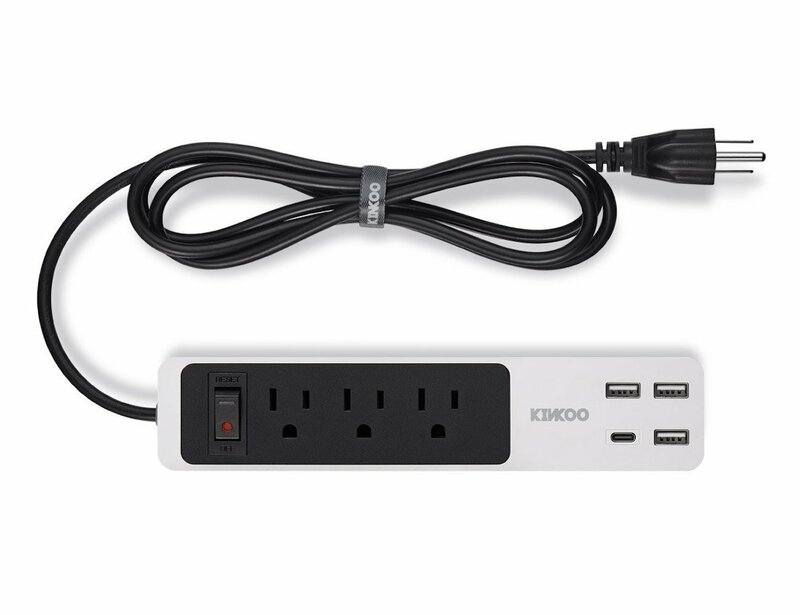 Source all the power you need from the Kinkoo USB Power Strip. With three outlets, you can connect all of your electronics in one place. 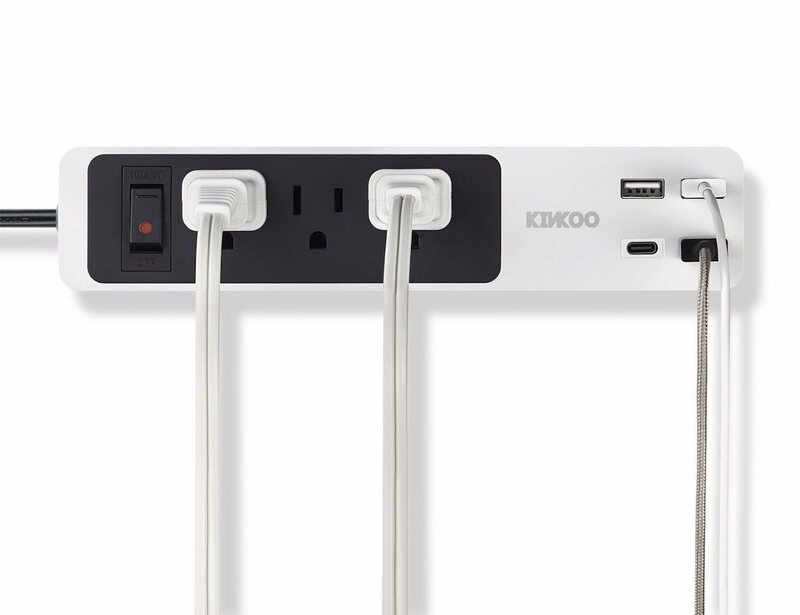 Source all the power you need from the Kinkoo USB Power Strip. 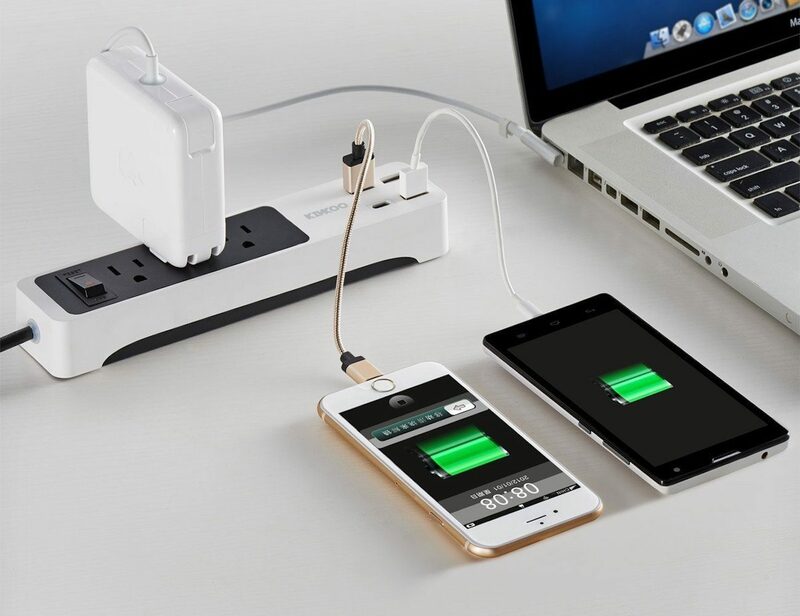 Offering three high-powered outlets, you can connect all of your electronics in one place. Additionally, this office must-have has four USB ports to power your devices. Three of these are standard USB ports. 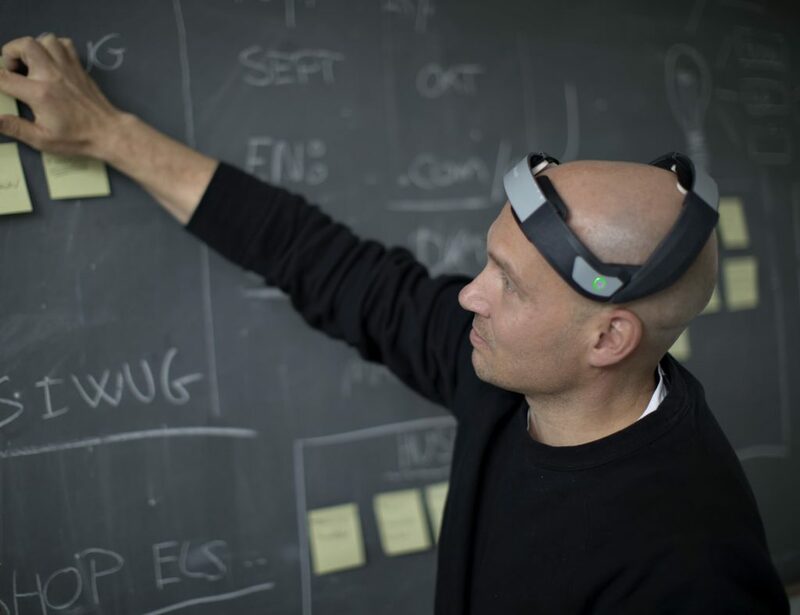 The final is a USB Type-C port for the newer devices in your life. 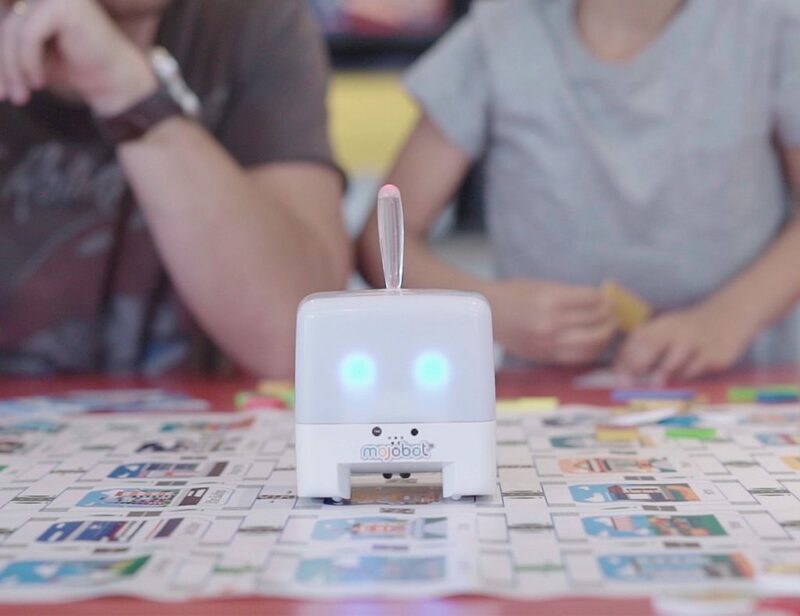 The Kinkoo Power Strip can handle anything from a small MP3 player to an energy-hungry laptop. Located on the system is a surge protector as well as a durable power cord. This cord is fire-resistant to ensure your safety. 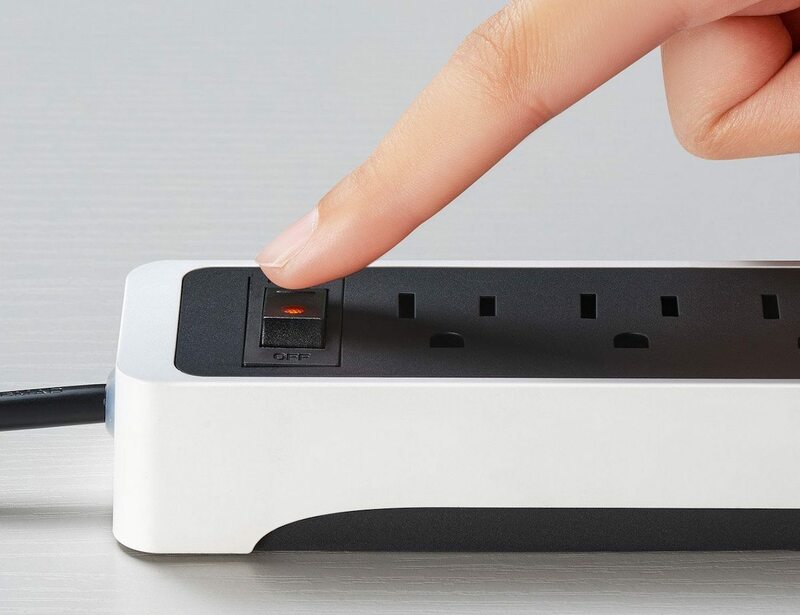 Also on the Kinko Power Strip is a power switch so you can completely cut off power to your devices and electronics if need be. 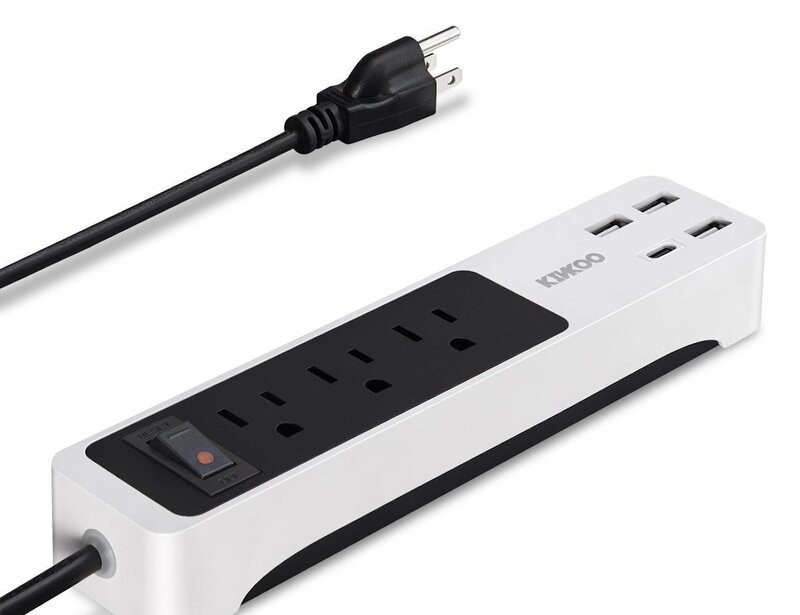 Compact yet highly useful, this power strip will fit easily into any room.